At age 30 Diana Trelawny is a great proprietor and landowner, with "a fine old estate, a fine old English house, and a great deal of money". She has made a profession out of managing her large estate, and has no intention of marrying, despite many opportunities. She has numerous dependants, and is generous and affectionate in her way, but is to a certain degree detached - too aware of the little tricks and foibles of those depending on her. The two dependants closest to Diana are Mrs Norton and her niece Sophy. 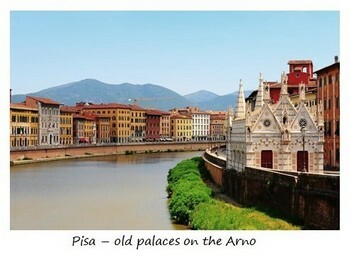 After Diana sends them to Pisa for Sophy's health (travelling with the rector and his family), she decides in the Spring to join them, and takes a set of rooms in the Palazzo dei Sogni (palace of dreams). Though she finds herself surrounded mostly by English people, there is also in their circle an Italian Count, Mr Pandolfini. He is a handsome, contemplative man, poor but proud; and he has fallen in love with Diana at first sight. Diana feels drawn to him in some indefinable way. And then, in this little tragicomedy, a great mistake is made. This novel was written in 1877, but lay forgotten in a desk drawer at Blackwood's publishing house for almost 15 years! The title of the first edition is shown above. Two alternative titles used in other editions are Diana: The History of a Great Mistake and Diana Trelawny.